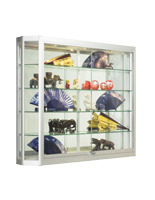 These Extra-Large Trophy Cases With Halogen Lights Showcase Your Goods On the Wall! 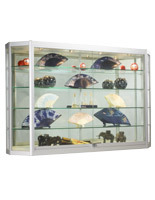 Display Cabinets Feature a Full Vision Display To Show the Entire Product. Extra-wide cabinets hold a lot of merchandise! 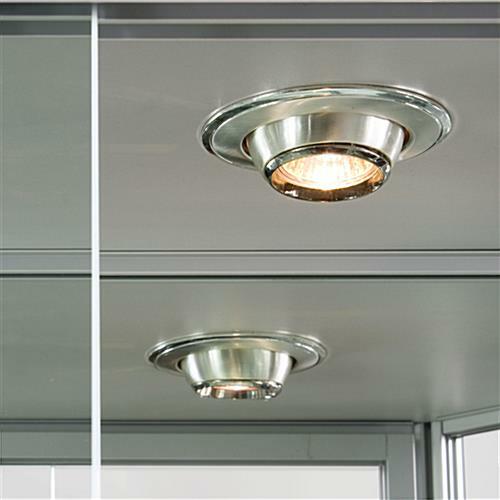 (4) 20-watt halogen top lights can be aimed towards the front or back of the cabinets to highlight specific items! Mirrored back further enhances displayed merchandise! Aluminum Trophy Cases with Mirrored Backing Highlight Special Products! 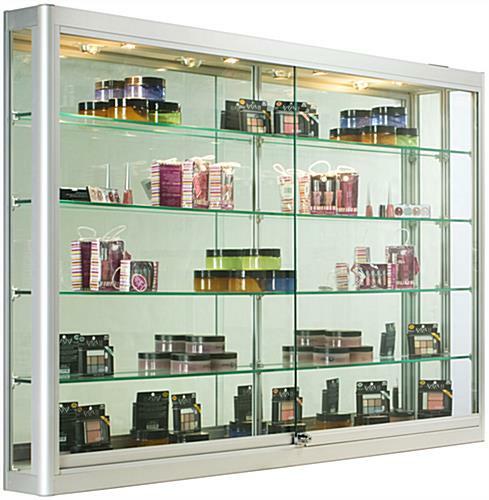 Don't waste your money on competitor's display cabinets; they can cost hundreds more than these comparable glass showcases. 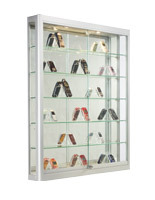 These quality trophy cases for schools and retail businesses feature: three (3) 20-watt halogen spotlights; height-adjustable, full-length shelves with rubber-padded shelf clips; sliding doors with a plunger lock; a full-vision, tempered glass design; clear-coat anodized aluminum framing; two heavy-duty z-bar mounts; and a rocker on/off switch for easy lighting adjustments. 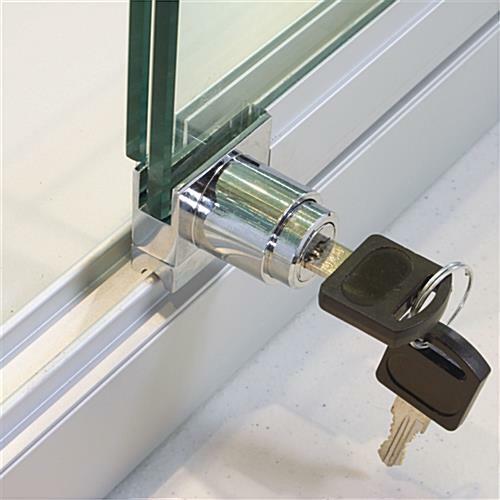 Retail showcases are designed to move merchandise off the floor, and up to eye level. These trophy cases feature a full-vision design so customers can see 360 degrees around a product (even the back, thanks to the trophy cases' mirror-backing). 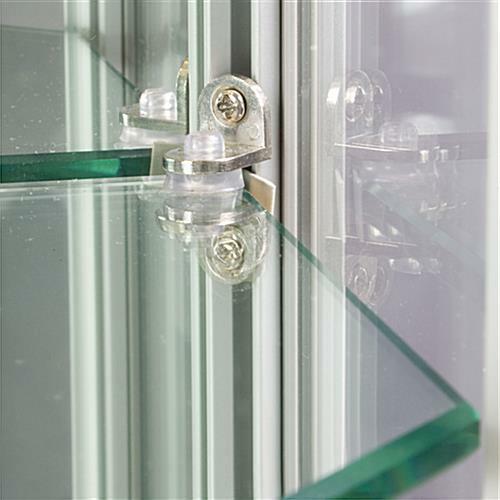 Glass award cabinets are sent with mounting hardware and Mounting Instructions. The cases ship pre-assembled so all you have to do is hang them and fill with merchandise! 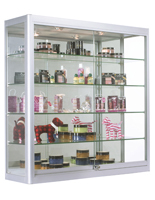 Display cabinets can help make your store look more neat & organized. 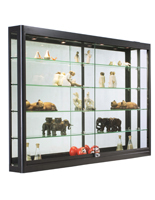 These trophy cases, also known as glass displays, are great for saving floor space, and utilizing wall area. 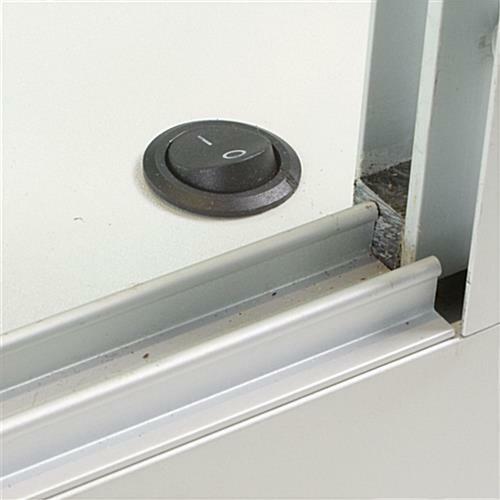 Why waste floor space where customers and patrons walk, when you could display the same amount, and in some cases, even more retail merchandise in wall-mount cabinets? Freeing up floor space allows the free flow of traffic throughout your establishment, or gives you room to purchase a new floor-standing cabinet or other award or school showcases. These quality wall-mounted trophy cases are often placed behind checkout counters to encourage impulse purchases during the checkout process. Glass displays, trophy cases feature a mirrored back and look spectacular filled with electronics, jewelry, cosmetics and more! 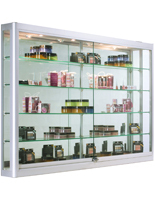 These are affordable and effective display cabinets to add to your current retail display line. 60.0" x 39.5" x 6.0"